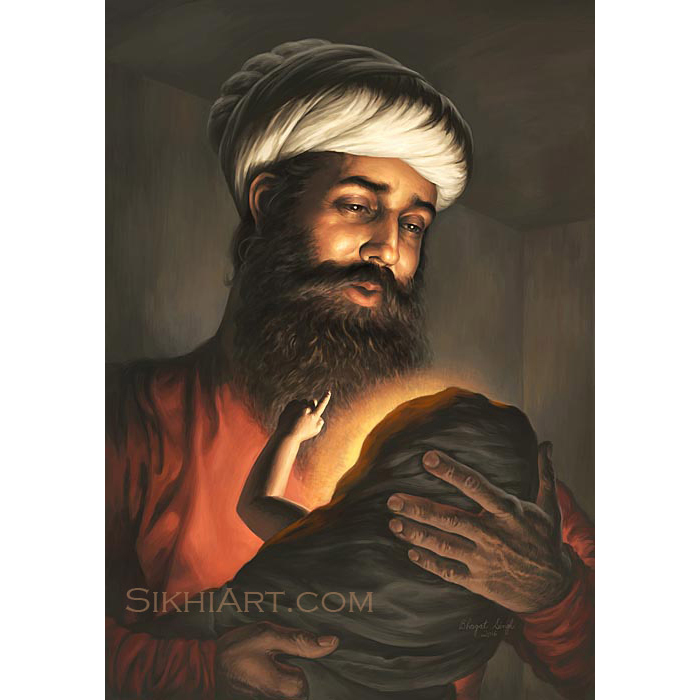 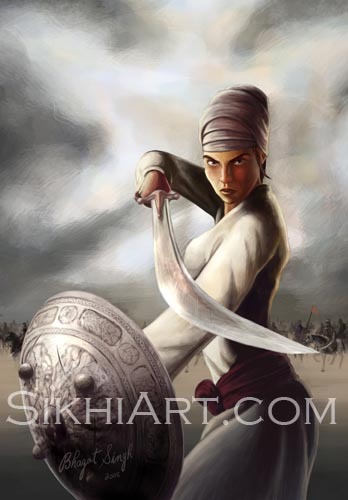 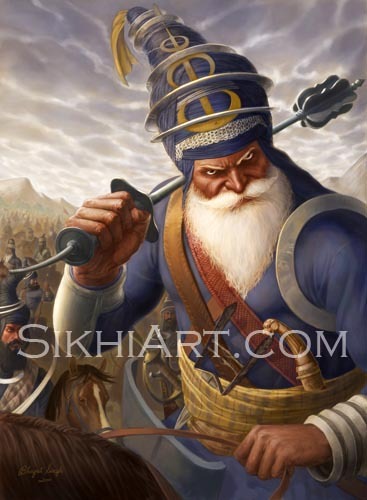 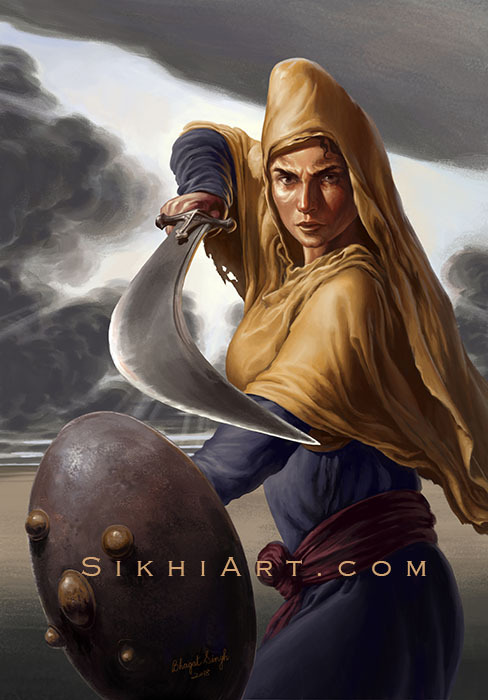 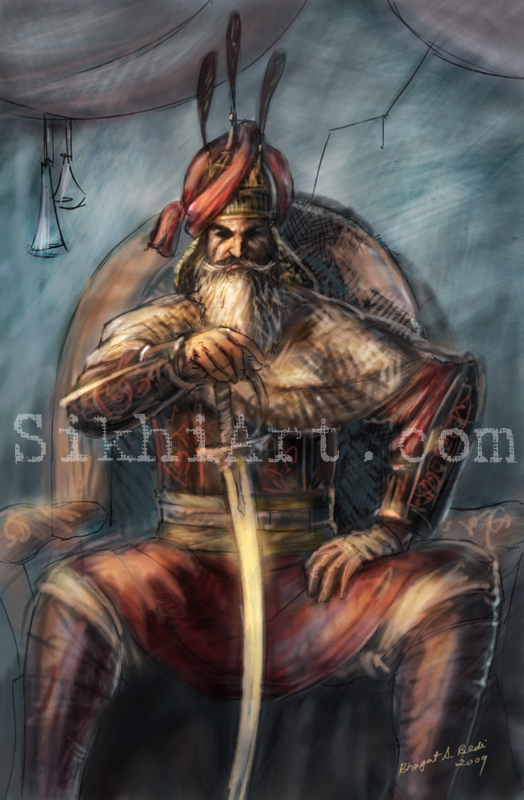 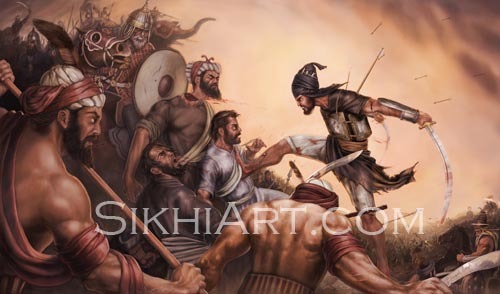 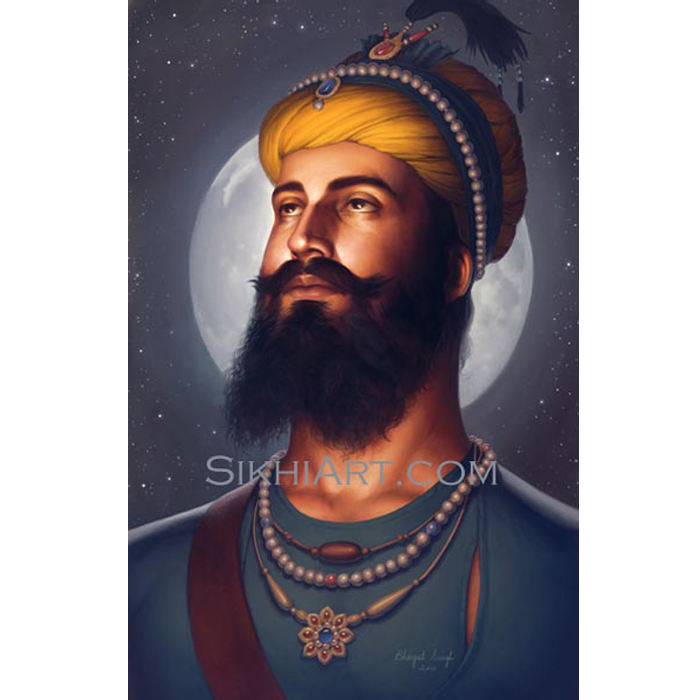 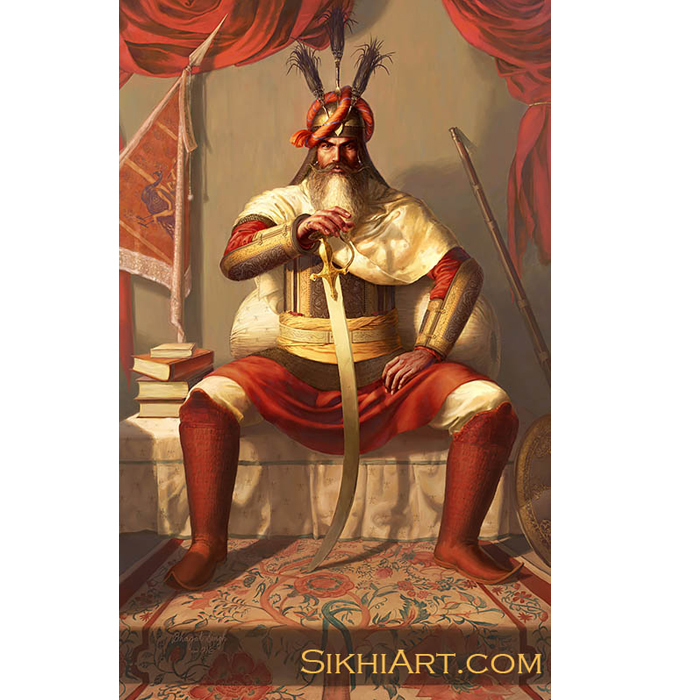 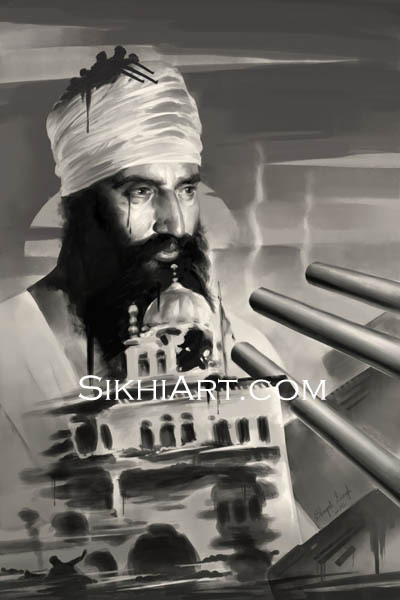 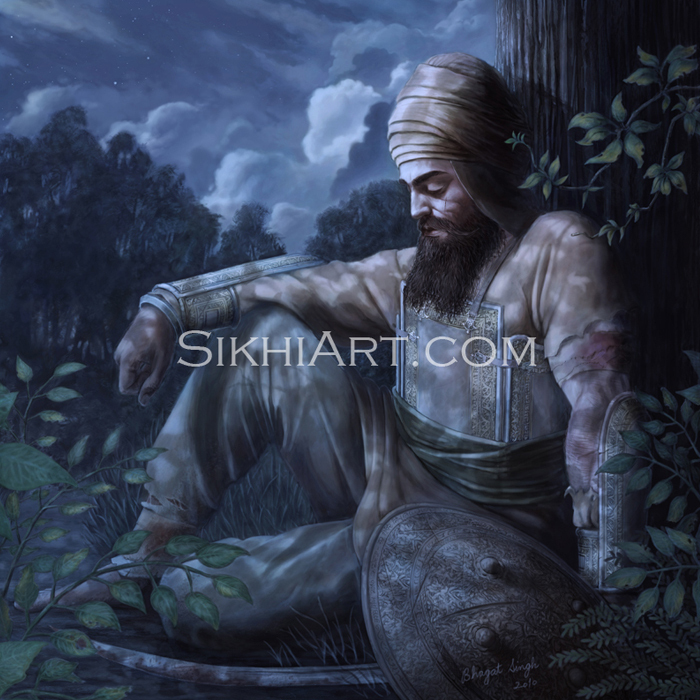 Bhagat uses his gift to create paintings of Sikh Warriors that fill your heart with Bir Ras, the Warrior’s Essence. 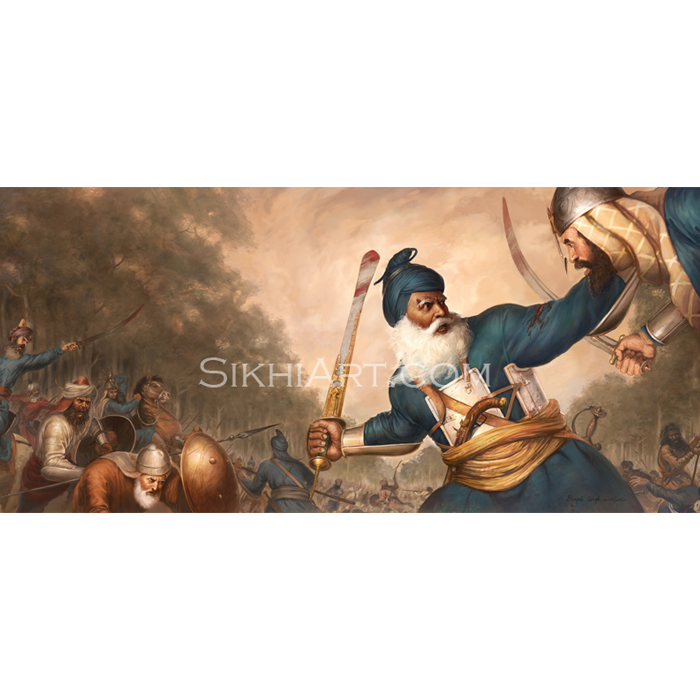 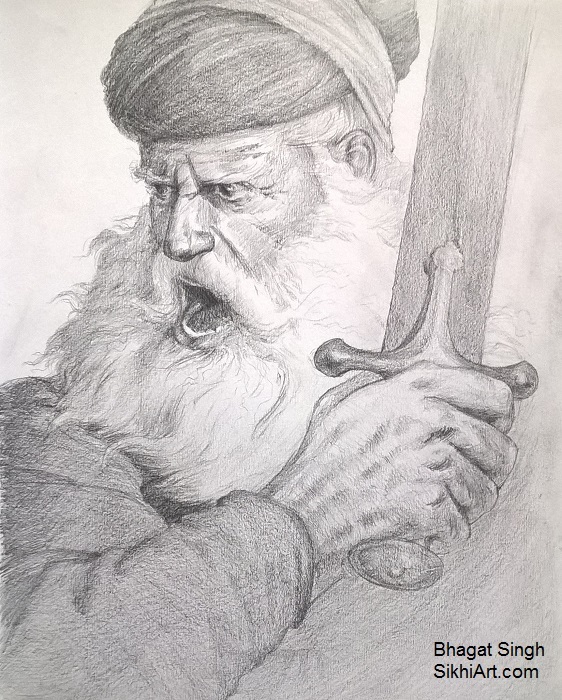 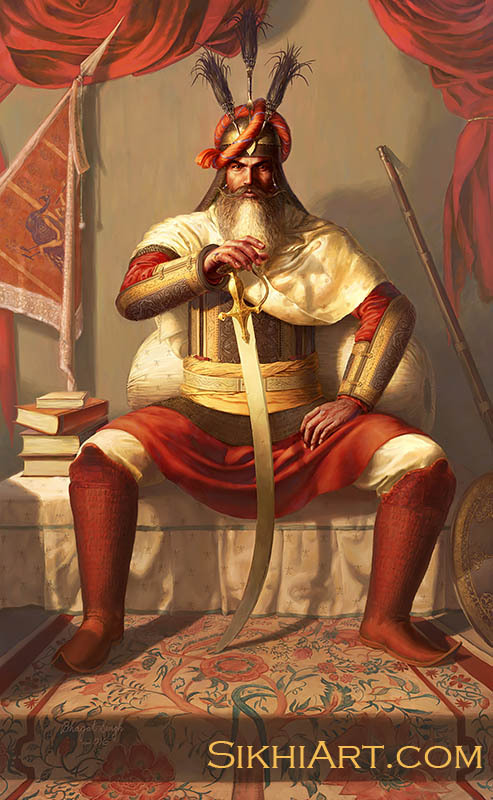 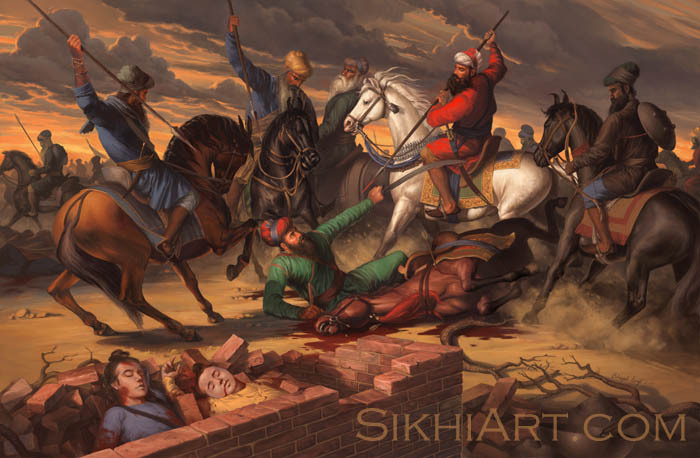 His paintings connect the viewer to our ancient Sikh Heritage by telling stories of our Warriors in vivid colours and dynamic, action-packed battle scenes. 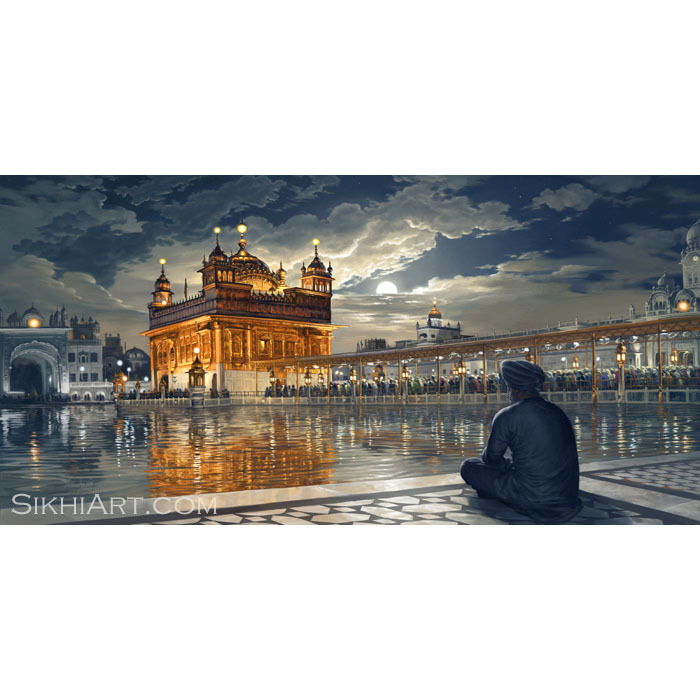 Prints are available World-Wide as Museum-Quality Premium Canvas and Ultrasmooth Fine Art Paper Prints. 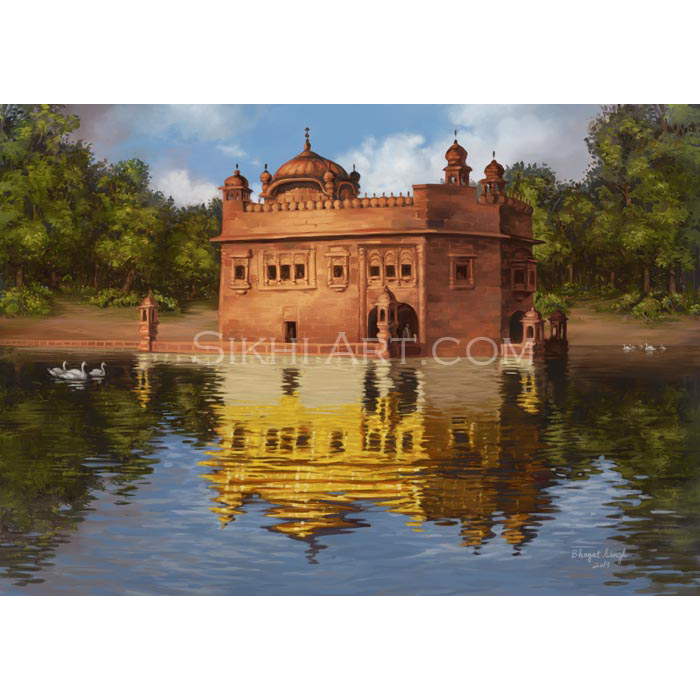 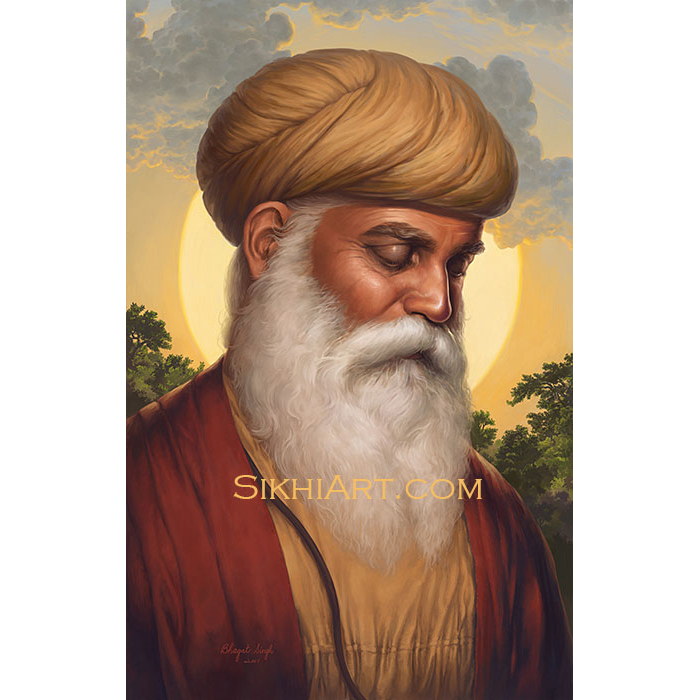 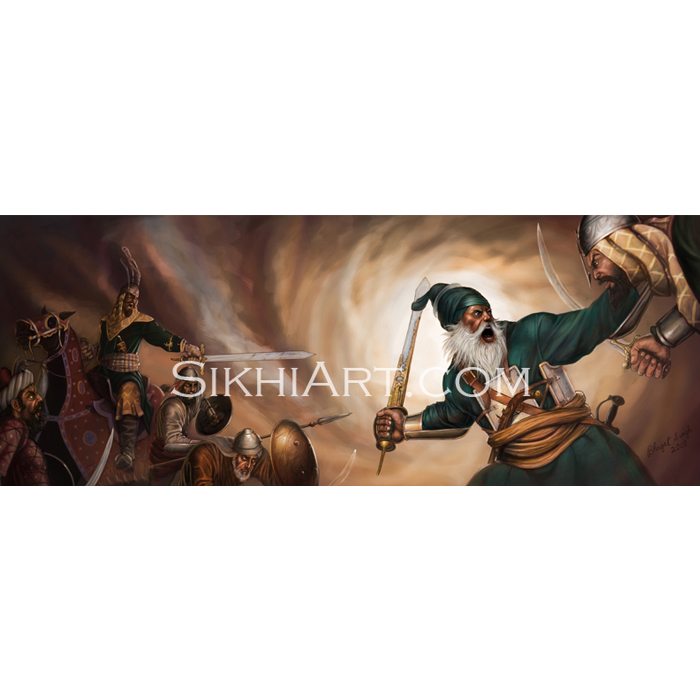 Exclusively on Sikhi Art. 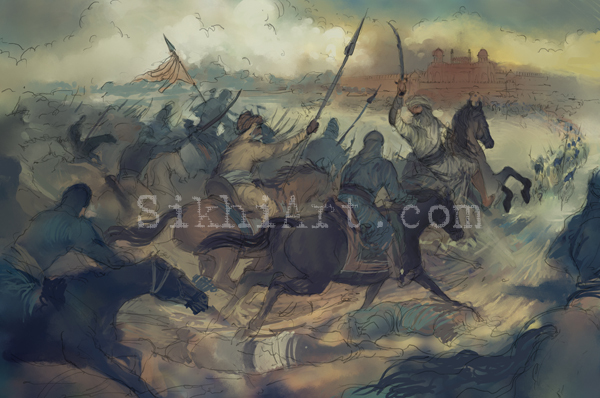 This sketch shows Baba Banda Singh Bahadur, previously Guru Madhav Das, heading to battle along with sikh soldiers. 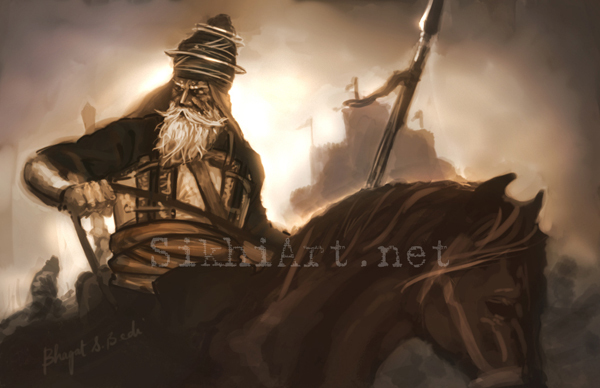 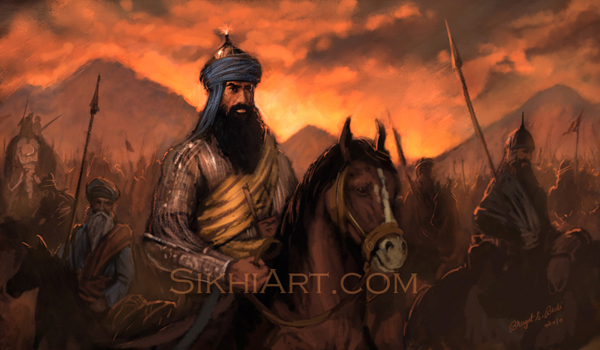 Banda Singh ji recruited many jatts into his army, and this lead to a snow-ball effect right into the city Sirhind.